I know, there’s been a lot of Overwatch cosplay here lately, but there’s just so much of it, and it’s so consistently good, and people are very much into this game, so whatever, deal with it. Today? 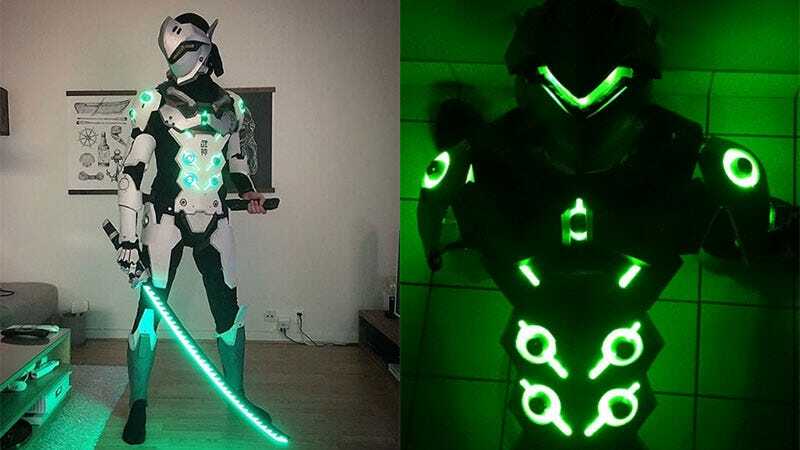 It’s Fredrik Just and his incredible Genji outfit, which as you can see not only fits nice and snug but lights up appropriately. He’s even applied the same level of detail to the weapons!